Orkney tour guides offering quality sightseeing Tours of Orkney with a personal driver. We offer half day, full day and multi day tours. Prices are dependent on the length of tour and number of guests. Payment options in advance are by bank transfer, PayPal account or by card to PayPal. We will accept cash on the day. The Orkney Experience – Skara Brae, Maeshowe, Ring of Brodgar, Standing Stones of Stenness, St Magnus Cathedral, Scapa Flow, Italian Chapel. This tour works well if you are staying in Orkney and would like a full day tour including the Heart of Neolithic Orkney, Wartime and Norse History. Day Trip Tour - Skara Brae, Ring of Brodgar, Standing Stones of Stenness, St Magnus Cathedral, Churchill Barriers, Italian Chapel. If you can only fit in a day trip to Orkney by ferry this tour covers our most popular sites. Orkney in a Nutshell – Skara Brae, Ring of Brodgar, Standing Stones of Stenness, Yesnaby Cliffs, St Magnus Cathedral, Churchill Barriers, Italian Chapel. This was our most popular day tour 2018 especially with cruise ship travellers. Ancient Orkney – Skara Brae, Ring of Brodgar, Standing Stones of Stenness, Maeshowe, Brough of Birsay, Broch of Gurness. A great day out visiting our Ancient sites as a day tour but also works really well as part of a two day trip along with our Historic Orkney tour. Historic Orkney – Yesnaby Cliffs, Stromness, Earls Bu, Orkneyinga Saga Centre, Scapa Flow, St Magnus Cathedral, Churchill Barriers, Italian Chapel. A great day out visiting some of our Historic sites as a day tour but also works really well as part of a two day trip along with our Ancient Orkney tour. 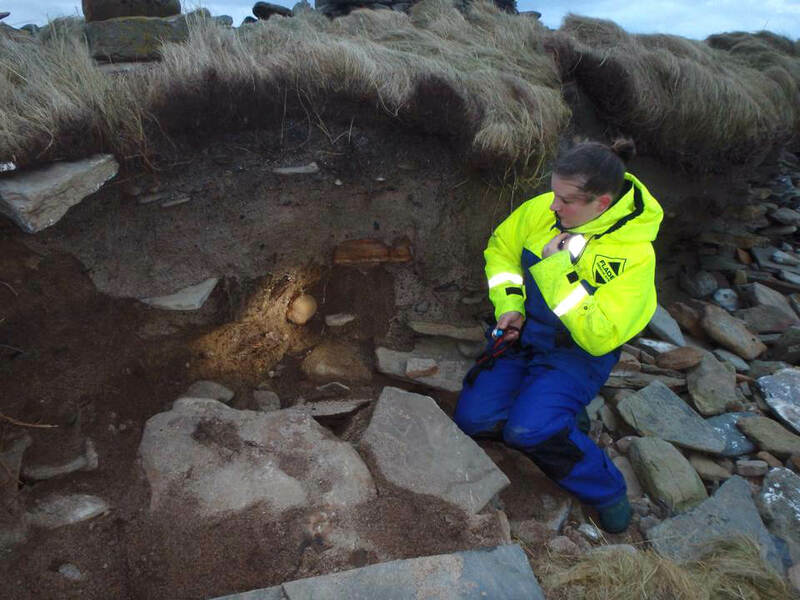 Carrie with 4000 year old remains that she uncovered on the isle of Sanday.